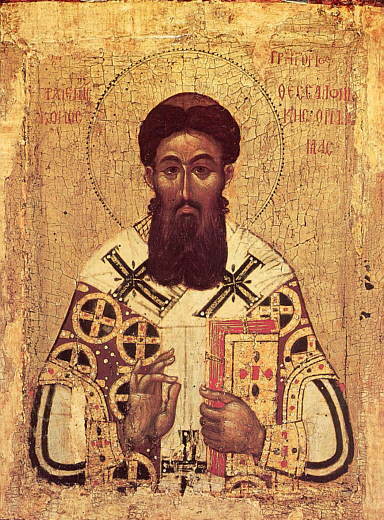 O Holy Master, Almighty Father and Pre-Eternal God, Who alone made and directed all things; Who rises up quickly against the evil of the impious ones; Who, by Providence, teaches Thy people preservation of Justice and the obliteration of the sword on earth; Who condescend to raise up military columns to help the people: O God, Who commanded the Forerunner John to say to the soldiers coming to him in the desert, "Do not intimidate anyone … and be content with your wages:"
We entreat Thee with compunction, that Thou gave Thy child David the power to defeat Goliath, and as Thou condescended, through Judas Maccabeus, to seize victory from the arrogant pagans who would not call on Thy Name; so too, grant protection in righteousness and truth to these Thy servants against the enemies rising against them, and by Thy heavenly loving-kindness, strength and might for the preservation of faith and truth. For thou art our God, and to Thee do we ascribe glory; to the Father, and to the Son, and to the Holy Spirit, now and ever, and unto ages of ages. Amen.